Motherhood is about as far as it's possible to get from crime – but some employers still treat pregnant women as if they're committing some kind of transgression against the company. And not only employers. In Charlotte Duckworth's tense and often moving debut, it's not only the bosses but also a fellow employee who uses her colleague's vulnerable state as a means of hoisting herself up the corporate ladder – or is it? At first Helena and Ashley get along fine; Helena works hard to be the kind of manager who uses the carrot rather than the stick to encourage her staff, and Ashley's fierce ambition ensures that she works hard and makes every effort to impress. But it's that ambition that eventually starts to come between them, and when Helena finds herself unexpectedly pregnant things start to go very wrong. Duckworth has created two richly layered characters at the heart of this emotional scenario. On the surface Ashley is self-seeking and driven, willing to do just about anything to further the career she has carved out for herself – but a damaging past threatens to break through that tough carapace, and it's hard not to feel sympathy for her even when her self-interest hurts other people. Helena loves her job and wants to succeed, but not at other people's expense; she doesn't want pregnancy and motherhood to stand in her way but is overtaken by both hormones and events. The novel is set-in two-time frames, and the setting for each is well drawn: the fast-moving corporate environment, and the more relaxed country village where everything slows down except the traffic. The recent past strand charts the two women's early relationship, and the present timeline reveals how Helena's life has developed since things began to go wrong. 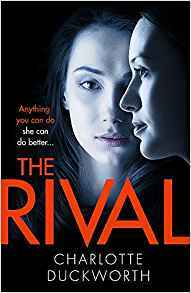 She holds Ashley responsible, but there are hints that perhaps that isn't quite the case; and when the truth finally comes to light it will bring tears to the eyes of the most hardened thriller reader. By the end I was asking myself if thriller was the right description for this meticulously charted account of a working partnership going horribly wrong. I felt desperately sorry for Helena; in particular, one chapter close to the end is heartbreaking. But Ashley was deserving of some fellow feeling too; is ambition really such a crime? There's tension between them, and an element of mystery as the real situation slowly unfolds, but my jury is still out on whether the crime shelves are really the right place for this well written, beautifully constructed novel. 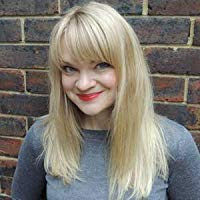 Charlotte Duckworth has spent the past fifteen years working as an interiors and lifestyle journalist, writing for a wide range of consumer magazines and websites. 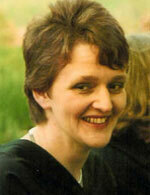 She lives in Surrey with her partner and their young daughter. You can find out more on her website. Inspector General Lorenzo (Enzo) Rossi, head of the Vatican Police, is the hero of The Concordat. Fast approaching forty, Rossi is good at his job. He is also tall dark and handsome and, much to his mother’s chagrin, still single. Rossi is dispatched to Bonn, Germany to recover what is believed to be a forged Concordat, dated 1939, between the Vatican and the Nazi Government. The inflammatory document states that the Vatican would agree to cease opposition to the Nazi government in return for being appointed the official state religion of the Third Reich. Clearly no such document, genuine or forged, can be allowed to see the light of day. Rossi has to acquire it for the Vatican before anyone else has a chance to make mischief out of its contents. Bad weather delays Rossi and when he eventually arrives in Germany he finds his contact has been killed and the Concordat stolen, probably by the lady who was coming out of the meeting place just as he was entering it. The lady is working for the Russians but lives in Paris, Rossi’s next port of call. In Paris the Concordat eludes him once again and he ends up taking a plane to Moscow to confront the might of the Russian FSB (Federal Security Service) that, instructed by Russian President Volkov, has instigated the whole charade. In Moscow Rossi is helped by members of the CIA bureau, particularly the beautiful Cathy Doherty who falls for Rossi. Rossi rejects Cathy because he believes the way she dresses means that she spends her time hopping in and out of bed with different men. The body count rises steadily as fixers and clergy fall victim whilst protecting their country, their church, or both. There is a nail-biting climax involving Russian and American planes. 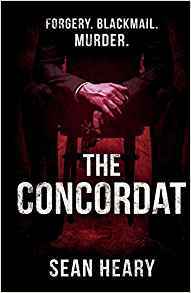 The Concordat is an enjoyable, fast-moving, suspenseful story populated by a good variety of interesting characters, some of whom are almost super-human. The politics involved between the different factions and churches are complicated but enhance rather than detract from the narrative. There is also humor and plenty of human interest, including Rossi’s attempts to make his mama happy. I am really looking forward to meeting Inspector Rossi again in the sequel to the Concordat. Sean Heary is a former business executive who lived for many years only a stone’s throw from the Kremlin. No wonder he writes political thrillers. Born and raised in Australia, Sean now makes Germany his home. The Concordat is his first book. Yang Lee is a very talented chap who believes in selling his skills to the highest bidder. The first skill he possesses is to kill people using a variety of ingenious and difficult-to-trace methods, the second is hacking computers. When we meet Lee he has two employers, the Chinese government, and Bai Hu, head of Hu electronics. They both want him to do the same thing i.e. to stop the President of the United States from signing an executive order to impose crippling tariffs on Chinese electronic goods imported into the US. Lee knows that he needs to work quickly. President Hughs is capricious character who likes to rely on his own judgment and isn’t too keen on taking expert advice. He might decide to sign the order at any time. Lee also knows that he cannot afford to fail: not only would future assignments dry up; his disgruntled employers would probably assassinate him. Desperate measures are needed so Lee decides to put pressure on President Hughs’ chief of staff, Craig Logan. He thinks that by sending online messages to Craig’s wife, Annie Logan, threatening to ruin their lives he can blackmail Craig into influencing the President to change his mind about imposing the tariffs. Annie is distraught. She is living is the couple’s country home in Gulfport, Florida and missing Craig who is busy in Washington. Annie has already taken to drink to console herself and she simply can’t cope when strange instructions arrive on her computer and horrible things start happening in her life. Desperate for help, she turns to Marcie Kane. Marcie is about to marry Nathan Harris, ex-FBI, who now runs his own investigative agency. Marcie, Nathan, and old FBI colleagues help Annie. Their intervention makes Lee’s job much harder, so he decides that nothing short of a trip to the US to make a direct attack on the President will suffice. 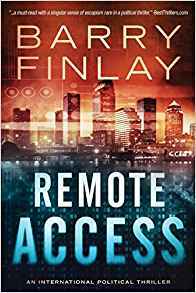 Remote Access is a good–fun, very topical, page-turning, political thriller that made an excellent holiday read. Barry Finlay is a fiction and non-fiction author. In his previous life, he had an extensive career in financial management before retiring in 2004, after thirty-two years with the Canadian federal government. 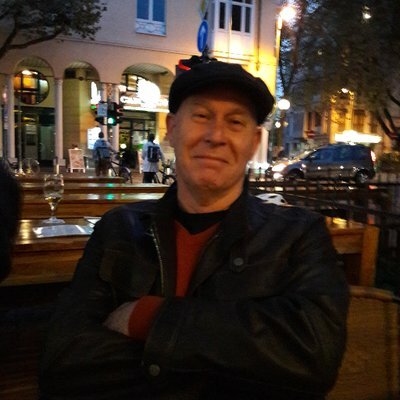 Since retiring, he has divided his time between writing, working as a consultant on financial policy matters, travel, playing golf, climbing mountains, philanthropy and enjoying his three grandchildren. In 2009, Barry climbed Mount Kilimanjaro with his son, Chris. The experience of climbing Africa's highest mountain at age 60 with one of his sons and discovering the satisfaction of reaching a goal and giving others the opportunity to achieve theirs, inspired the book Kilimanjaro and Beyond which won numerous awards and Barry is featured in the Authors Show book, "50 Great Writers You Should Be Reading." 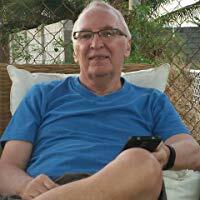 His 2nd book, a travel memoir called I Guess We Missed The Boat, also non-fiction, received the 2013/14 Reader Views Literary Award in the Travel category. His 3rd book, a work of fiction called The Vanishing Wife was released in 2014. On the merits of The Vanishing Wife, Barry was named as a winner of a Canada Book Award for his accomplishment and contribution to the publishing world. It was also named the best e-book in the Thriller/Mystery category by New Apple Literary Awards. His newest, A Perilous Question, received awards for the best Thriller/Suspense in the New Apple Literary Awards e-book category, Official Selection in the 2016 New Apple Book Awards: Suspense / Thriller (paperback). Barry is a recipient of the Queen Elizabeth Diamond Jubilee medal for philanthropy.